Our human footprint has exceeded the Earth's capacity to sustain itself. The Earth can no longer meet the needs of our consumer driven society. We need collective action to ensure a sustainable future, a future which recognizes that reducing environmental impacts can improve the economic and living standards of many people and reduce costs. Creating trade-offs between the environment and economy no longer works, and "business as usual" cannot continue. Many manufacturers recognize the need to change. They adopt sustainable business practices that reduce their environmental footprint (e.g. Energy, Green House Gas, water, raw materials and waste), save money, and enhance competitiveness. These "green" manufacturers balance economic and environmental interests by conducting lean and green technical reviews. Lean and Green technical assessments examine facility operations and or specific processes to identify wastes and inefficiency. Long term objectives for the manufacturers are: Improve productivity, energy, environmental performance and worker safety. Manufacturers also receive a carbon footprint analysis to develop a Green House Gas (GHG) inventory to reduce emissions. Small to medium manufacturers receive assistance, from the US Government to green their business operations. The government offers customized lean-green-environmental assessments at little or no cost. One such effort is E3: Energy, Economy, and Environment. This is a collaborative program involving federal, state and local resources and expertise. (see www.e3.gov) E3 provides technical assessments through the Department of Commerce's Manufacturing Extension Partnership Program, the Department of Energy's Industrial Assessment Centers, and State pollution prevention providers. Improvements are recommended in relation to manufacturers return on investment. 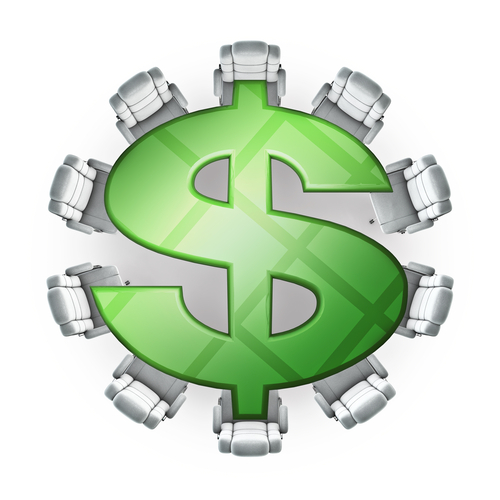 Manufacturers can weigh the pros and cons of investments vs. costs. Manufacturers can educate potential employees with E3, which trains personnel to use tools, calculators, and value-stream-mapping. These help streamline industrial processes, increase profitability, and improve overall environmental performance. To remain competitive in a global economy, E3 participants receive green job competency training through the Department of Labor and loans through the Small Business Administration. Transitioning to "green" business practices can enhance market share and create job opportunities for those that are unemployed. "The impact reaches far beyond energy, dollars, or the environment. It is about people and community. When TMAC conducted our E3 assessment last we had 100 people employed on the floor. We are now up to 200 employees with plans to grow to 240." Says Linda Jordan, business owner and E3 participant. (www.e3.gov). "Every dollar that we don't have to spend on wasted energy or materials is one more dollar that we have available to invest in our workforce. That has a direct impact on the quality of life for our local community." Manufacturers that separate waste streams, recycle materials, reduce energy costs, and improve employee education and provide opportunities to revitalize the U.S. manufacturing sector. With close to over 20 million unemployed in the U.S., becoming "green" or sustainable provide technical skills, training, and job creation and have positive environmental impacts. We need to view the earth as more than a commodity. We need to realize that altering the way we make products has a positive impact ON the three pillars of sustainability - people, planet and profits.